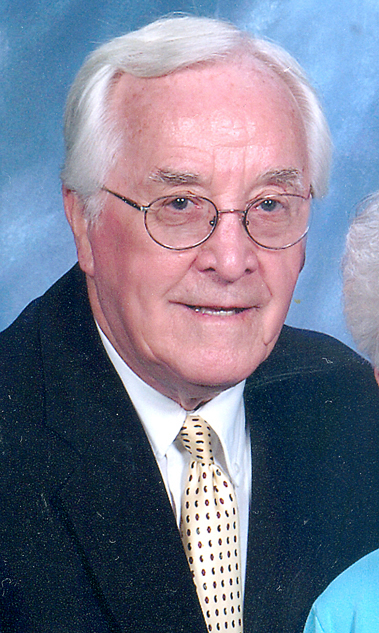 Benjamin F. Hammond Jr., 86, of Middletown, passed away on Thursday, December 27, surrounded by his family at his home. He is survived by his wife of 64 years, Mary Louise “Mame” Hammond. Born in Middletown, he was the son of the late Benjamin F. Hammond Sr. and Hazel Houser Hammond. He was the former owner of Ionni Abstract Company, Harrisburg; was a graduate of Middletown High School, class of 1944; was a member of St. Peter’s Evangelical Lutheran Church, Middletown; he served as former president and member of the Middletown School Board; and was an avid tennis player and enjoyed fishing. Surviving in addition to his wife are two daughters Rebecca Schmidt (Dennis), and Marianne Brognia (William), all of Middletown; four grandchildren Ryan Schmidt (Brandy), Tyler Schmidt (Jill), and Allison and Jaclyn Brognia; two great-grandchildren Lyllee and Drake Schmidt; and a sister Jacqueline Gibson. In lieu of flowers, memorial contributions may be made to St. Peter’s Evangelical Lutheran Church, Spring and Union Sts., Middletown, PA 17057 or to Hospice of Central PA, 1320 Linglestown Rd., Harrisburg, PA 17110. To share your fondest memories of Ben, please visit www.lifecelebration.com.